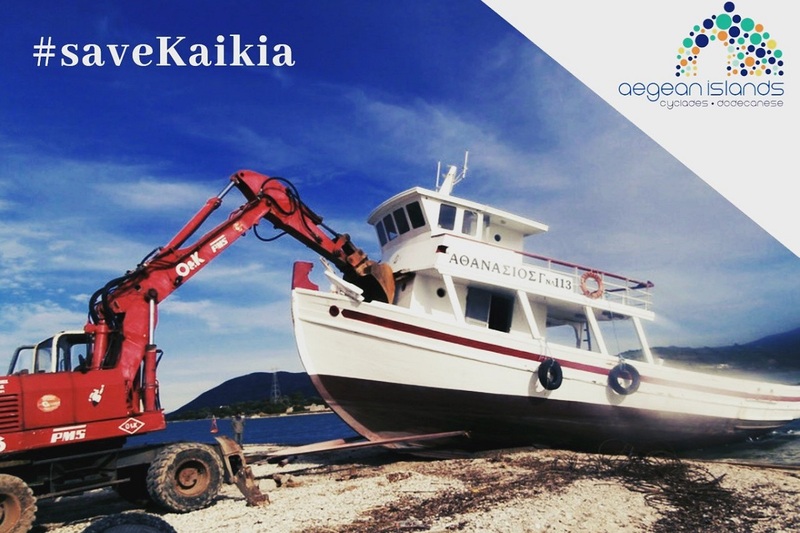 The South Aegean Region announced this week the launch of the #savekaikia campaign joining forces with the Traditional Boat Association of Greece in raising awareness about the importance of safeguarding the country’s seafaring heritage. “The crime against our naval tradition must be stopped. These boats are the soul of the Aegean, an integral part of our history, our tradition, our consciousness,” said South Aegean Regional Governor George Hadzimarkos. “It is callous to destroy such masterpieces, true works of art… It is an insult to our seafaring legacy,” he added. 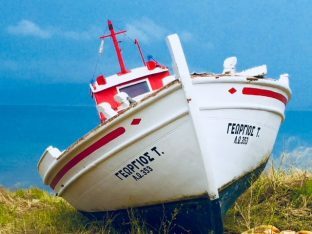 The campaign is urging government officials to stop the EU-funded destruction of traditional fishing boats (known as “kaikia” in Greek), which is as a result also leading to the extinction of boat craftsmen professions. In 1983, in efforts to tackle overfishing, the European Union started subsidizing fishermen to scrap their boats or change their use. Harsher measures followed and in 1996 fishermen were required to surrender their licenses and destroy their boats resulting in hundreds of perfectly sound vessels ending up in scraps in landfills. A total of 45 million euros in EU funding is spent on demolishing hundreds of decommissioned caiques and traditional fishing boats instead of subsidizing the preservation and continuation of Greece’s maritime tradition. 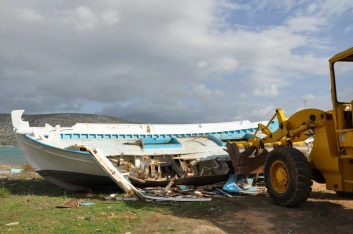 According to the Traditional Boat Association, over the past 20 years and under the said EU program, more than 12,500 traditional boats out of a total 14,500 have been destroyed, with an additional 763 fishing vessels up for demolition. In the meantime, the destruction of some 522 boats has stopped due to lack of funds. “The state must preserve our shipbuilding craft and tradition by taking appropriate action,” said Hadzimarkos, adding that the regional authority will table a proposal and action plan in Brussels. The Traditional Boat Association has repeatedly suggested offering incentives to boat owners to transform their vessels into recreational boats or to sell for private use in efforts to safeguard the country’s maritime legacy.